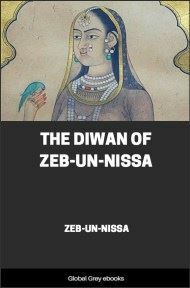 This is an anthology of English translations of Pushto poets from the 16th century on. Most, if not all, of these poets are Sufi. They utilize the poetic vocabulary of Sufiism: the tavern, the wine, the flowers, etc., all actually technical terms describing the soul's progression on the mystical path towards God. 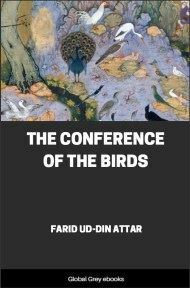 Raverty's introductory essay, "Remarks on the Mystic Doctrine and Poetry of the Sufis" provides a skeleton key to the symbology. The poetry of the East, particularly that of the Muḥammadan nations, differs materially from that of the West; and when taken up by the uninitiated, would often appear to be the mere effusions of wild and voluptuous bacchanals, or worthy of Anacreon himself. These remarks, however, pertain more to Persian than to Afghān poetry, which contains less of the, often, bombastic style of the former, and approaches nearer to the simplicity of the poetry of the ancient Arabs. 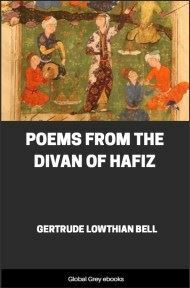 A general subject with the Afghān, as well as other Asiatic poets, is that of love, not human, but divine, and a contempt for the people and vanities of the world; whilst other Afghān poets, such as Khushḥāl Khān, write on any subject that may have been uppermost in their minds at the time, after the manner of Western poets. The general reader, who would understand many of the poems contained in the following pages, must know that most of the Asiatic poets profess the mystical doctrine of the Ṣūfis, the tenets of which, it will be necessary to explain to him; although Oriental scholars may be supposed to be sufficiently familiar with the subject. The Muḥammadan writers state, that these enthusiasts are co-existent with their religion; and, probably, their rapturous zeal may have greatly contributed to the first establishment of Islāmism; but they have since been considered its greatest enemies, and it is avouched that their doctrines have, for a long time, been even undermining Muḥammadanism itself. Hence the most rigorous proceedings have, from time to time, been put in practice to repress their increase, but these, as usual in such cases, have had a contrary effect; and Ṣūfi-ism is said to be still on the increase. 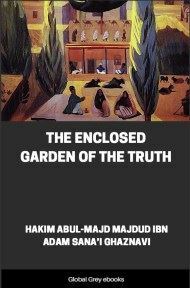 There is no doubt, but that the free opinions of the sect on the dogmas of the Muḥammadan religion, their contempt for its forms, and their claim to communion with, or rather absorption into the Creator, are all more or less calculated to subvert that faith, of whose outward forms the Ṣūfis profess their veneration. The tenets of the Ṣūfi doctrines appear to have been most widely diffused over Persia; and, indeed, the great reputation acquired by one of the priests of the sect, enabled his descendants, for above two centuries, under the name of the Ṣafawīan dynasty, to occupy the throne of that country. The general name by which this sect of enthusiasts is known, is Ṣūfi, implying pure, a term probably derived from the Arabic word (ṣafah), signifying purity; and by this name all are known, from the venerated teacher, or spiritual guide, followed by crowds of disciples, to the humble kalandar, darwesh, or fakir, who wanders about almost naked, or only clothed in his khirkah or cloak of rags, subsisting upon scanty alms, to support this, voluntarily adopted, life of prayer and religious abstraction. 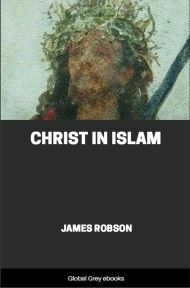 In India, more than in any other country of Asia, from remote ages, these visionary doctrines appear to have flourished, much after the same manner as in Egypt and Syria, in the early days of Christianity, as testified to by the early ecclesiastical writers, who trace to those countries the mystic, the hermit, and the monk; for there the propensity to a life of austerity was quite a disease. In the Hindū religion also, as well as in the people themselves, there is much that tends to foster a spirit of religious abstraction; and we may thus, with some justice, suppose that from India other nations have derived this mystic worship of the Deity, but without adopting the dreadful austerities and macerations, common among the Hindūs, and deemed necessary for attaining unto this state of beatitude. To give a full account of the doctrines of the Ṣūfis, would be almost a useless attempt; for traces of it may be found, in some shape or other, in all countries; alike, in the sublime theories of the philosophers of ancient Greece, and in those of modern Europe. The Ṣūfis affirm, that their creed is adverse to superstition, scepticism, and error; but "it exists by the active propagation of all three." The doctrines of their teachers are given to their disciples in place of the outward forms and observances of the faith they profess. They are invited to embark upon the ocean of doubt, piloted by a sacred teacher, or spiritual guide, whom they must consider superior to all other mortals, and deem worthy of the most pious and spiritual confidence—in fact, of almost adoration itself. They are devoted to the search after Truth, and are constantly occupied in adoration of the Deity. He, according to their belief, is diffused throughout all created things; and they consider, that the soul of man, and the principle of existence, is of God (part of Him), not from Him. Hence their doctrine teaches that the soul of man is an exile from its Creator, who is its home and source; that the body is its cage, or prison-house; and the term of life, in this world, is its period of banishment from Him ere the soul fell it had seen the face of Truth, but, in this world, it merely obtains a partial and shadowy glimpse, "which serves to awaken the slumbering memory of the past, but can only vaguely recall it; and Sūfi-ism undertakes, by a long course of education, and moral discipline, to lead the soul onward, from stage to stage, until, at length, it reaches the goal of perfect knowledge, truth, and peace."